The Bristan Echo kitchen sink tap features a sweeping swan neck spout with slim, flat control handles. This simple but elegant design will work well in any modern or contemporary kitchen. This simple, elegant Bristan Echo kitchen sink tap is smooth in style and graceful in design. The sweeping "swan neck" spout is complementary to the slim, flat control handles that gives this kitchen mixer tap a truly modern design that will finish any modern or contemporary kitchen. The Echo kitchen sink mixer features a swivel spout, it is dual flow and is fitted with ceramic disk valves requiring only a quarter turn of the handles for your ease of use. This Echo kitchen sink tap is supplied without a waste, we recommend a choice from our wastes and traps section. 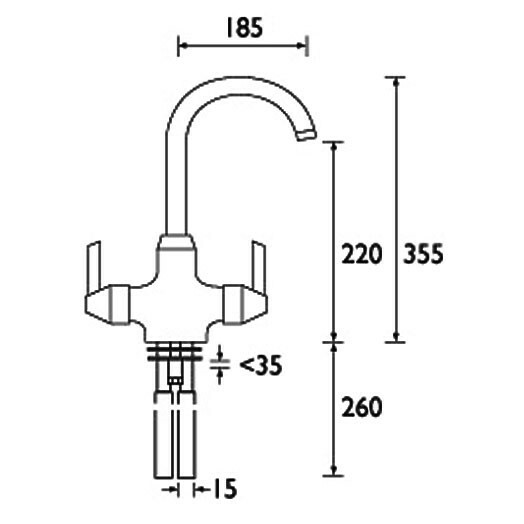 The total height of this kitchen mixer tap is 355mm and its projection from centre of the body to centre of the spout is 185mm. It is supplied complete with tap connectors and all fittings for fixing to your kitchen sink or worktop. If you are fitting this kitchen tap to a worktop we recommend a 35mm diameter hole is drilled. This sink mixer now includes the Bristan Easyfit base. The Bristan Echo monobloc kitchen sink tap is suitable for both high and low pressure water systems, we recommend a minimum operating pressure of 0.3 bar. I have these taps fitted elsewhere in my house and trust their quality so I looked for another when my old sink mixer needed replacing. Service rating : Nice clear website, easy to use. Excellent product and price, and fast efficient delivery. Product : I have these taps fitted elsewhere in my house and trust their quality so I looked for another when my old sink mixer needed replacing. I bought a kitchen tap from Tapstore a couple of years ago and was very pleased with the service and prices, so have bought another item. The website is good and easy to use. Prices still good and prompt delivery. 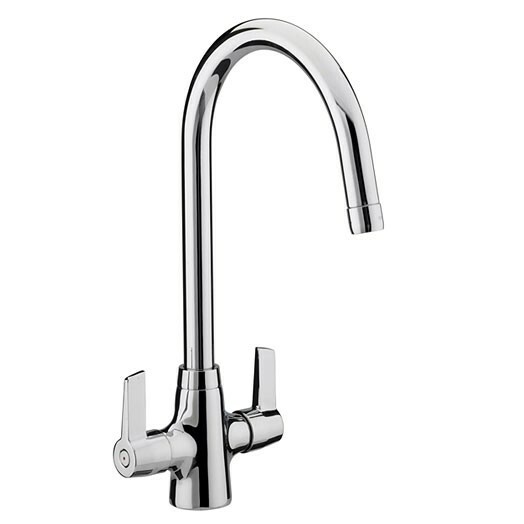 Great selection of kitchen taps, fast and efficient delivery service, great value! Service rating : Very speedy service indeed.